Essentially speaking, the little things have changed in a taxi transport from its inception. Raise your hand on the street, tell the taxi drivers where to drive, pay, and that’s it. What did changed over the years is technology and service quality. With newer models of cars, taxis was getting better, faster and safer. 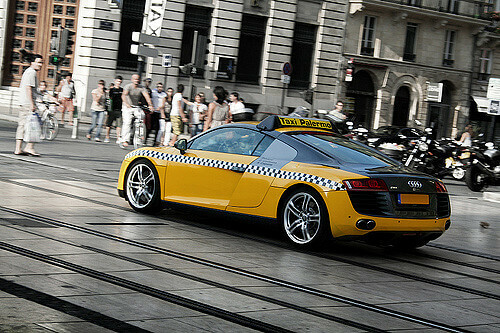 With the development of communication technologies is changed (and improve) the way in which we invite a taxi. Even calling taxi vehicle telephone obsolete technology! Do not believe me? Then obviously nisteporučili taxi vehicle via Twitter, something that Naxis Taxi offers for a long time and it is the first in Belgrade. We suspect that you play our Android app, which allows you to order a taxi vehicle with just a few clicks on the screen of your phone. It is not known exactly. We may call on taxi telepathically. Maybe it will be the size of bracelets phones, so it will be enough just to shake his hand and a taxi will come.